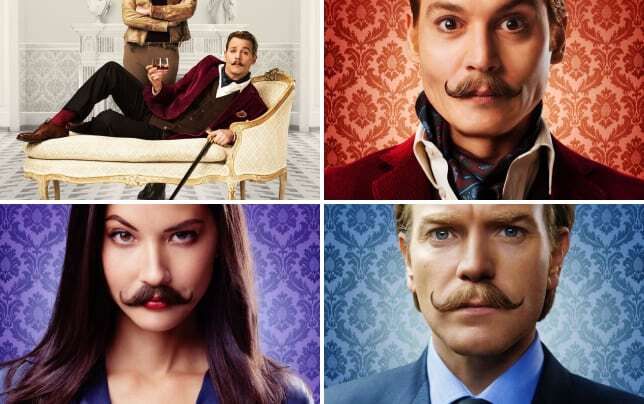 The first official poster for Mortdecai has arrived from Lionsgate. It features Johnny Depp as the title character, front and center, with Gwyneth Paltrow starring as his wife. Mortdecai is an international art dealer and when called upon by the British government (specifically Ewan McGregor’s character) to help retrieve a stolen painting, he does it. But, he’s in it for himself, so there’s a handsome reward to be had, and by gosh, he will get it. The comedy also stars Paul Bettany (as his manservant named Jock Strapp), Olivia Munn, Aubrey Plaza, Jeff Goldblum and Oliver Platt! Watch The Lone Ranger online to see Depp’s latest and get ready for another great zany turn by one of our favorite actors.